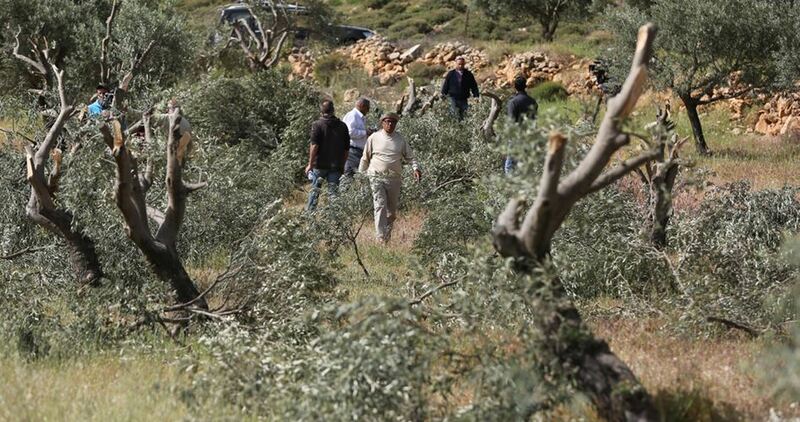 Extremist Jewish settlers Tuesday night cut down dozens of olive trees in Bourin town, south of Nablus city. The official in charge with the settlement file in the northern West Bank, Ghassan Daghlas, said that some fanatic settlers used chainsaws to cut down over 27 trees owned by a Palestinian woman, Ratiba Qadous, near the entrance to Yitzhar settlement. Palestinians are banned from accessing the area where the settlers’ attack took place for being close to the illegal settlement that was established over their lands. It caught a great fire last June that ate 800 of Palestinian olive trees. Israeli occupation authorities on Tuesday afternoon confiscated cattle and water tanks belonging to Palestinian citizens in the northern Jordan Valley. Human rights activist Aref Daraghmeh told PIC reporter that officials from the so-called Nature Authority, accompanied by Civil Administration crews and an Israeli military force, broke into Um al-'Ubor area and confiscated a number of cows as well as dozens of water tanks. Daraghmeh pointed out that while Israeli authorities allow settlers to freely herd their cattle in many of the Jordan Valley lands, Palestinian shepherds are prevented from entering them on the grounds that they are nature reserves. He called on human rights organizations to stand with the Palestinians living there and protect their property and livelihoods. With its old style, the Fouad Halawa Restaurant, which was opened in 1936 in the heart of the old town of Nablus in the northern West Bank, is considered the oldest operating restaurant in the city, which continues to exist despite time and the change of circumstances. Abu Imad, an 82-year old elderly, sits in the early hours of the morning with his usual smile, speaking about the past times of the restaurant, when Al-Nasr Square was full of life, where a mosque and the historical Lighthouse of Victory are located, with the restaurant preserving its simple traditional heritage, for decades. The restaurant is located a few meters from the Clock Tower, which was built I the reign of Sultan Abdul Hamid II, which is several meters high, and could be seen from several areas in Nablus. The restaurant used to be packed with customers during the British Mandate. It is located in Bab Al-Sahah, where the government departments, and the British military governor were located, as well as the Nablus prison and detention center. Abu Imad complains about the decline in the purchase power in the recent years. Abu Imad told the PIC reporter that his customers are known today, and they are limited to the people of the Old Town. Some customers prefer to bring meat, tomatoes and onions to Abu Imad to make barbecue for them. He added, “While at this restaurant, I helped members of the family graduate from school, including doctors, lawyers and engineers,” pointing out that his children became dentists, and the restaurant helped sending them to school. Abu Imad recalls the days when he was working alongside his father and six other workers, but now there is no one except him working at the restaurant. Abu Imad noted that the economic situation has been weak for nearly five years, because people prefer to go to restaurants in the center of the city, expressing his deep sadness of what happened to the restaurant. He concluded by lamenting the old days, wishing that his restaurant would thrive anew. A number of poor families in the central Gaza Strip have received recently household solar power kits funded by Relief International and donors from South Africa. The families, who benefited from this initiative, were selected carefully according to the criteria of most needy first under the supervision of lawmakers from the Hamas parliamentary bloc. MP Huda Na’iem stated, in press remarks, the population in Gaza suffers greatly from the problem of electricity, especially the poor families who need to live a decent life like others. She said that providing homes with solar power systems is considered one of the most important projects that aim to improve the living conditions of poor families in Gaza and alleviate their suffering. 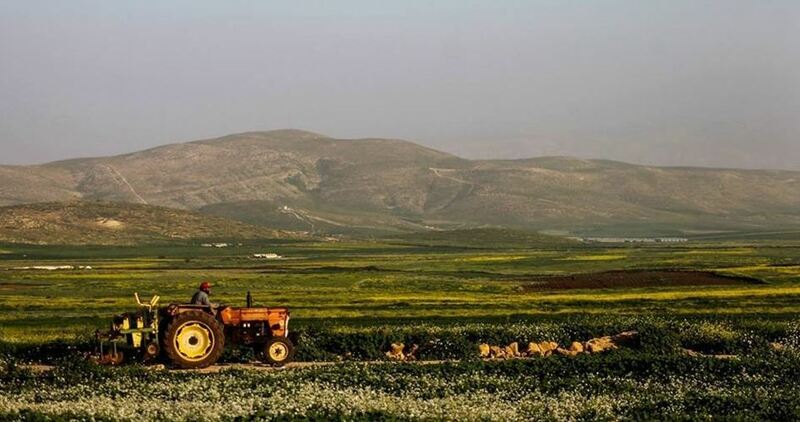 The Israeli occupation forces (IOF) on Sunday morning seized Palestinian agricultural equipment in al-Ras al-Ahmar, east of Tubas, in the northern Jordan Valley. According to local sources, the occupation forces rolled into al-Ras al-Ahmar and confiscated three agricultural vehicles owned by Palestinian farmers. Al-Ras al-Ahmar is home to 22 Palestinian families whose survival largely hinges on agriculture and crop growing. 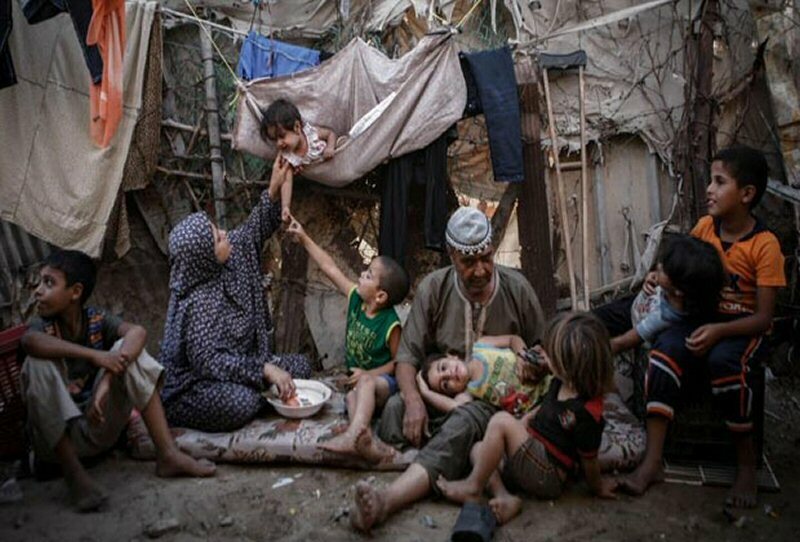 Chairman of the Popular Committee Against the Siege on Gaza said, on Friday, that poverty rate among Palestinians in the territory has reached 80 per cent. He pointed out, according to Days of Palestine, that unemployment in Gaza stands at 60 per cent, among the highest rates in the world. The independent MP said that the only solution for saving the Gaza Strip is achieving internal reconciliation, ending the division and lifting the Israeli-led siege. The latter, stressed Al-Khodari, and the opening of the Gaza border crossings unconditionally, is very important. Furthermore, he suggested that an emergency fund should be established to tackle the crises by funding employment projects for labourers as well as graduates, and allocating more money to rebuild Gaza. Thousands of young Palestinian graduates have no employment opportunities in the besieged territory. 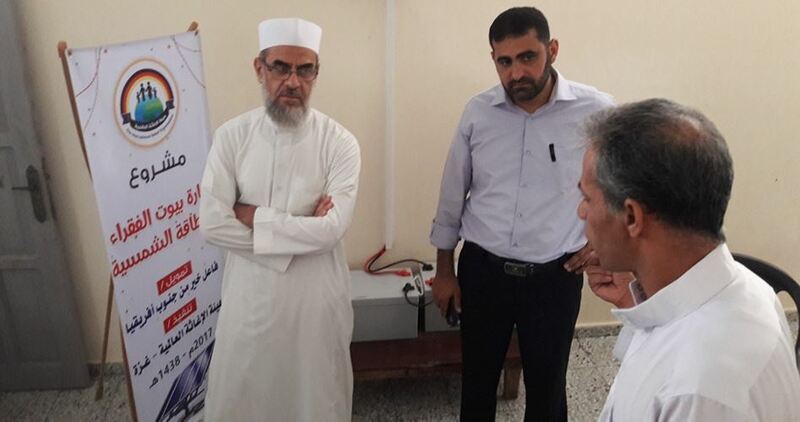 Al-Khodari noted that the electricity crisis has a major impact on the provision of healthcare and education, as well as the commercial, industrial and social sectors. The economic situation, he said, is “very difficult” due to the full or partial closure of hundreds of factories in the Gaza Strip. The MP estimated the losses at tens of millions of US dollars. In conclusion, Al-Khodari referred to the severe shortage of medicines and medical disposables, and the reduction of medical referrals abroad, which have exacerbated the troubled healthcare sector in the Gaza Strip. Israeli settlers, Friday, chopped down dozens of olive trees belonging to the Palestinian village of As-Sawiya, south of Nablus city, said a local activist. Ghassan Daghlas, who monitors settlement activities in the northern West Bank, said a number of Israeli settlers from the nearby Rachalim settlement overnight chopped down a total of 43 olive trees using chainsaws in al-Wad area, north of As-Sawiya village. 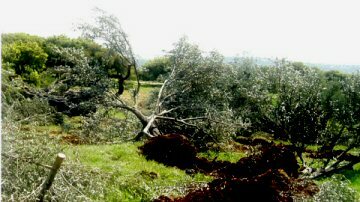 The chopped olive trees reportedly belongs to Juma’h Fathallah, a resident of the village, according to WAFA. Settler violence against Palestinians and their property is routine in the West Bank, and is rarely prosecuted by Israeli authorities. Palestinian residents of Nablus and surrounding villages are accustomed to acts of violence committed by notoriously aggressive ultra-religious Israeli settlers, who regularly set fire to Palestinian farmlands and attack vulnerable Palestinian homes under protection of Israeli forces. Over 600,000 Israeli Jewish settlers live in settlements and settlement outposts across the West Bank, including East Jerusalem, in contravention of international law. 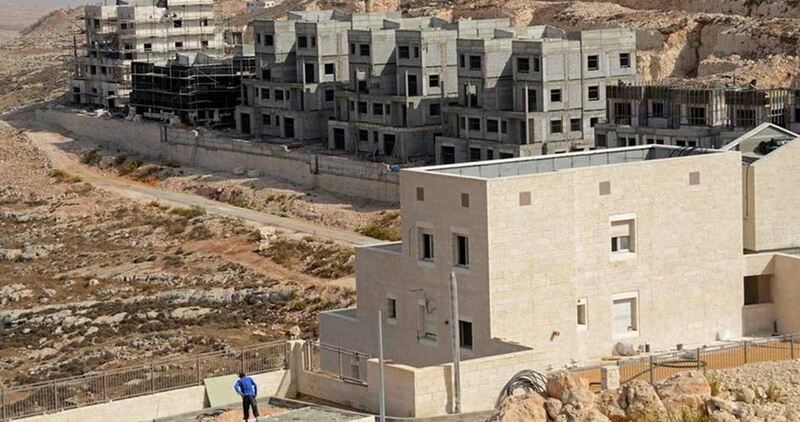 Approved by successive Israeli governments, settlement construction is part of an Israeli effort to colonize as much of the West Bank, including East Jerusalem, as possible. The Israeli Occupation Forces (IOF) issued at dawn Friday a number of demolition orders against Palestinian-owned facilities east of Qalqilia. Wafa news agency affirmed that IOF distributed 11 demolition orders in Jeet town east of the city. The notified homeowners were given 27 days to appeal against the demolition orders, the sources pointed out. 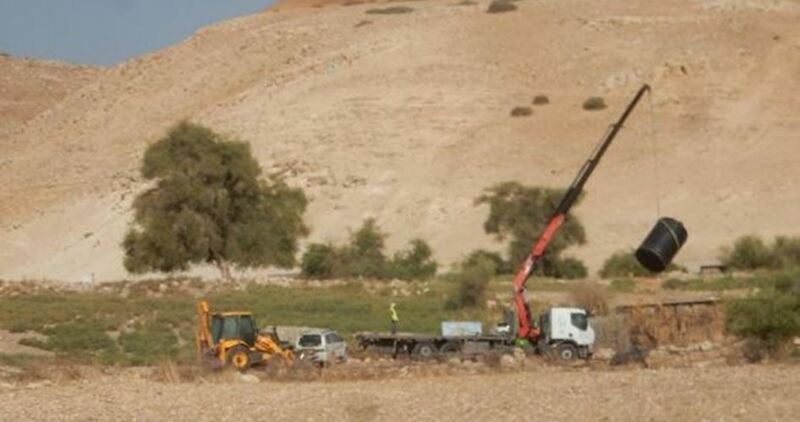 Meanwhile, a group of Israeli settlers uprooted 43 olive trees in Sawya town south of Nablus early today. Local activist Ghassan Duglas affirmed that a number of Israeli settlers stormed the town and uprooted dozens of trees belonging to the citizen Jomaa Kaiallah. The head of the International Committee of the Red Cross on Thursday warned on Thursday of a "crisis of hope" in Gaza, calling the humanitarian situation in the blockaded Palestinian enclave "dire". 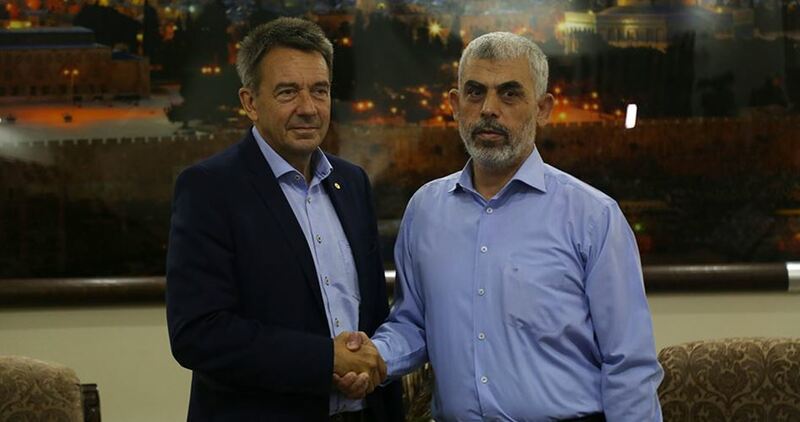 At the end of a three-day trip to Israel and the Palestinian territories, Peter Maurer said conditions in Gaza were worsening by the day, with the two million residents getting only three or four hours of mains electricity a day. Maurer said the power shortage had led to a water and sewage crisis, which in turn is having serious effects on the health system. "While we can always argue on who did take what decision for what reason, the humanitarian consequences for the people of Gaza are dire and are really unacceptable," he said at a press conference in Occupied Jerusalem. He said a "crisis of hope" in Gaza, and among Palestinians generally, was "the most lasting impression that I take away" from the trip. Maurer further issued a scathing condemnation of Israeli settlements in the occupied West Bank, describing them as a key reason for Palestinian suffering. Wrapping up a three-day visit to the region, he said settlement expansion is leading to a “de-facto annexation” of the West Bank. “The settlement enterprise goes against the provisions and the spirit of international humanitarian law, the law of occupation, as we call it,” he stated. “We witness it daily in the West Bank and in East Jerusalem: it has enormous impact on people, on their freedom of movement, the social and economic fabric in the territories. It offers limited access to agricultural and other productive lands, has curtailed educational and employment opportunity; it makes water resource and water supply systems difficult for Palestinian communities. And the list could go on and on,” he said. Israel has maintained a crippling blockade on Gaza for the past decade, while Egypt has also closed off its border in recent years, both citing security pretexts. Already dire humanitarian circumstances have been exacerbated in recent months by Abbas's Palestinian Authority seeking to squeeze Hamas resistance movement, reducing the amount it pays for electricity to be piped to Gaza among other measures. Israeli soldiers abducted, on Wednesday at dawn, seven Palestinians in Hebron and Qalqilia governorates, searched many homes and confiscated a large amount of cash from one home, in addition to shutting down a blacksmith’s workshop, and confiscating lathe machines and equipment. Media sources in Hebron, in the southern part of the West Bank, has reported that the soldiers abducted Ahmad Bassam Ja’bari, 24, after invading his home and ransacking it. They added that the soldiers also abducted Monjed Mousa Juneidi, and Mohammad Maher Obeid, and confiscated a car, owned by Arafat Jamjoum. The soldiers also invaded many homes and a bakery, before violently searching them. Owners of two of the invaded homes have been identified as Nihad al-Ja’ba, Omar Maher Obeid and Sa’ad al-Qawasmi. 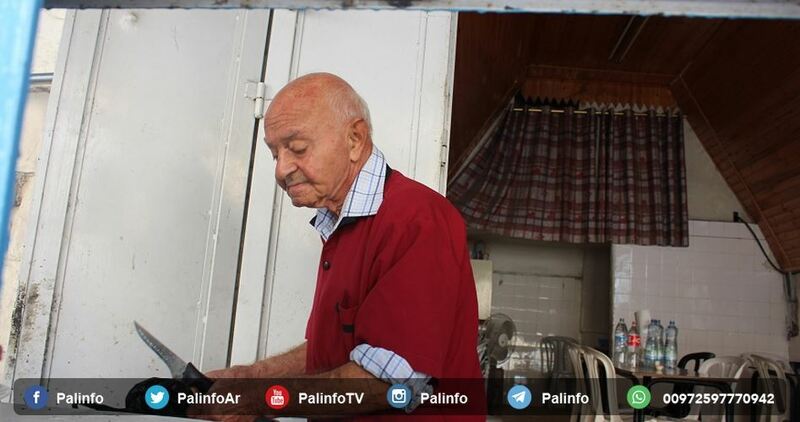 The soldiers confiscated Sa’ad’s car, and more than 16000 shekels, after interrogating him and his family. The soldiers also abducted Mohammad Mousa Rajab, from Hebron, while he was crossing the al-Kamara border terminal between Jordan and the West Bank, on his way back home after performing pilgrimage in Mecca. Furthermore, the soldiers invaded Jayyous town, northeast of Qalqilia, searched homes and abducted Yahia Ali Nofal, 20, Abada Mohammad Roshdi, 28, and Fuad Na’im Hamed, 20. Media sources in Jayyous said the soldiers also assaulted a young man, identified as Saif Abdul-Qader, causing various cuts and bruises. In ‘Arraba town, south of Jenin, in northern West Bank, the soldiers invaded a blacksmith’s workshop, searched it and shut it down, in addition to breaking into three lathe workshops and confiscating their machines. 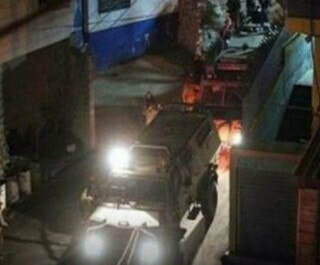 Several Israeli military jeeps invaded, on Thursday at dawn, the towns of Doura and Bani Neim, in the southern West Bank governorate of Hebron, searched homes and abducted four Palestinians. 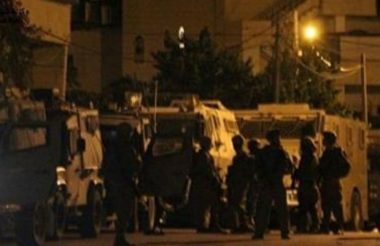 Media sources in Hebron said the soldiers invaded Bani Neim town, east of the city, broke into and violently searched homes, before abducting Rami Khalil Harahsha, Mohammad Ghaleb Ed’eis, and Taleb ‘Adra. The soldiers also invaded Beit ar-Roush al-Fouqa village, in Doura, searched many homes, and abducted a young man, identified as Matar Salem Abu Sharar. Many military vehicles were also deployed at junctions and main roads, south of Hebron, before stopping and searching dozens of cars. In addition, the soldiers demolished a car repair facility near the al-‘Am’ari refugee camp, in al-Biereh city, in central West Bank. Gaza’s chronic electricity outages – the power is out up to 21 hours per day – put the lives of hospital patients at risk. Among those affected are children requiring dialysis treatment at Rantisi Children’s Hospital in Gaza City. “We never know when the power will be on or off,” says Wijdan Muslih, mother of one such child patient. The four-hour treatment sessions are disrupted by power cuts, which puts the health of patients at risk and damages the machines. The children are bored and hot, with no TV to distract them or AC to keep them cool during the dialysis sessions. “There’s no schedule and sometimes it comes for a brief period, then cuts again,” she added. “Dialysis takes four hours and the power might go out four or five times,” Atallah Abu Hijia, the father of another young patient, complained. “This is one of the worst periods we’ve been through, with power down to just three hours a day,” said Dr. Muhammad Abu Salmiya, director of the pediatric hospital. “We’ve been warning the world about this and we pray to God that this does not happen,” he added. A US delegation led by President Donald Trump's son-in-law and senior adviser Jared Kushner has reportedly told Palestinian President Mahmoud Abbas that a halt in settlement construction in the West Bank is impossible, because it could bring about the collapse of Benjamin Netanyahu's government, Hebrew sources reported. Walla Hebrew website said that the US delegation told Abbas that it would work to consolidate economic, security and diplomatic relations between Israel and the Palestinians before the talks begin. The Palestinians, for their part, asked the US delegation to help reach a two-state solution. The delegation, however, preferred to leave that for discussion by both sides. The US delegation, headed by Kushner and Trump's envoy to the Middle East Jason Greenblatt, met separately on Thursday with Netanyahu and with Abbas in an effort to promote Israeli-Palestinian peace, something Trump referred to as "the ultimate deal." The Independent British newspaper said that "An incredible 96 per cent of Gaza’s water supply is unsafe to drink, as its only aquifer is contaminated by sewage and the coastal enclave’s three desalination plants are in effect offline". In a report on Saturday, the newspaper said, “The Strip’s burgeoning water and electricity crises have taken their toll, and three years on since Israel’s war on Gaza, it’s clear things in the Strip are getting worse, rather than better”. Only a third of the some 11,000 homes destroyed in the 2014 war have been rebuilt, the Norwegian Refugee Council estimated recently. The economic knock-on effects of two wars and ten years of Israeli sea and land blockades have led the Gazan economy to effectively collapse, unemployment is sky-high at 41 per cent, rising to 60 per cent for the young, and the threat of Israeli force's air strikes is constant. 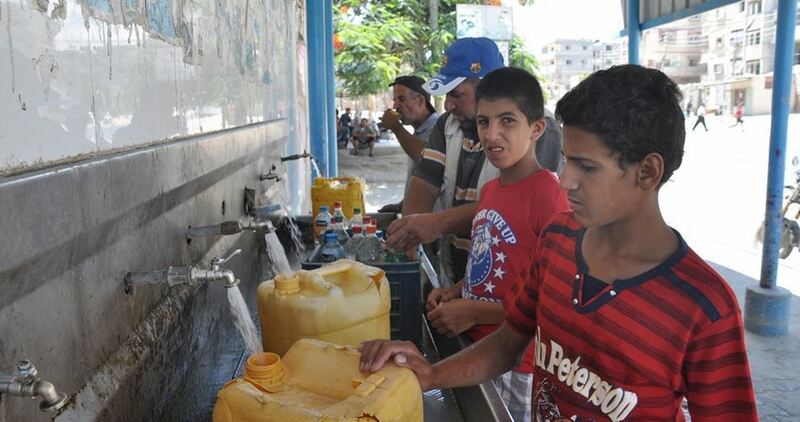 Palestinians living in Belaa town, north of Tulkarem province, have sounded distress signals over the acute dearth in much-needed water supplies. Belaa Mayor, Anwar Ameir, said during a Tuesday meeting with the head of the Water Authority in Ramallah that the water crisis has wrought severe damage on Belaa’s agricultural lands. 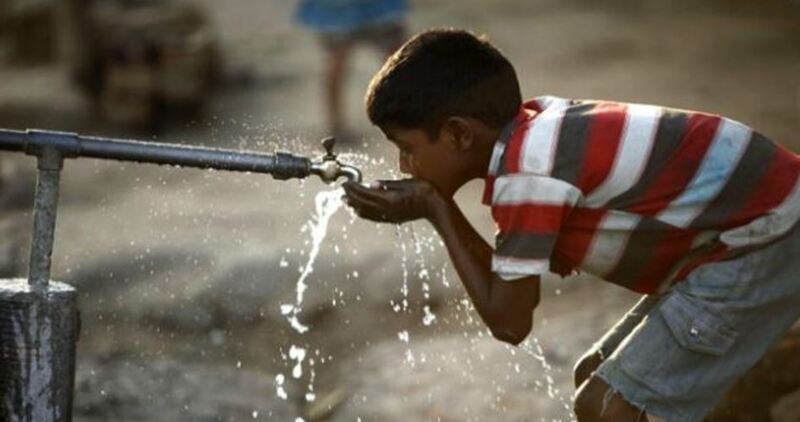 Ameir urged the Water Authority to take urgent steps so as to work out the crisis and boost both the quality and quantity of water supplies to Belaa. He further pressed for raising funds and speeding up underway efforts to excavate a new water well in Belaa. Head of the Water Authority, Mazen Ghneim, attributed the water crisis to the sharp decrease in the output of the local water well, vowing to seek out ways to tone down the crisis. The Natural Resources Authority in Gaza has announced that the second generator at the main power plant resumed its work on Thursday morning, after the resumption of pumping Egyptian fuel. He confirmed that resumption of pumping Egyptian fuel to the plant last night, and operating the second generator at the station will support the distribution programs gradually. He pointed out that the operation of additional generators in the station depends on the arrival of larger quantities of fuel. In recent weeks, the power deficit in Gaza reached 500 megawatts while electricity needs of Gaza strip still rise to 600 megawatts. 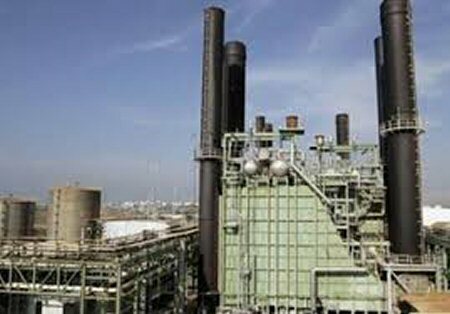 The sector has been suffering from an electricity crisis for months because of the re-imposition of the “Balu” tax on the fuel of the sole plant in the enclave by the National Reconciliation Government, as well to the continued disruption of the Egyptian lines, which were contributing relatively to the amelioration of the electricity schedule. The crisis reached to cut electricity for 22 hours versus 2 hours only of work. In related news, the Chamber of Commerce in Gaza said that the 10-year Israeli blockade and the arbitrary measures by PA president Mahmoud Abbas could lead the Gaza Strip to a severe downfall. Maher Altabaa, the public relations manager in the Chamber of Commerce, said in a statement that the crisis the Gaza Strip is going through would lead the Strip to its downfall by the end of the Sacrifice Feast. He also added that the unemployment rate in Gaza has reached 41%, poverty r65%, and the markets have slipped into the most unprecedented recession ever. It’s worth mentioning that Abbas has taken strict measures including reducing salaries, forcing some employees into mandatory retirement, and cutting electricity. The spokesman for the UN Secretary-General, Stephen Dujerric, remarked in a conference statement that Israel, the Palestinian Authority, and the government in Gaza do not fulfill their duties towards the people of the Strip.